The Isabelle Lancray Paris skin whitening range has been designed by Dr. Rimpler especially for Asian skin. It acts not merely as a whitening cream but its SPF 15 also provides protection from harmful UV sunrays. With Isabelle Lancray, you get a personalized service and their full range of products comprising of a cleanser, toner, serum, skin peeler and chlorophyll mask. 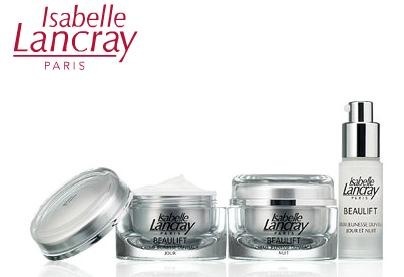 For younger looking skin use Isabelle Lancray and say goodbye to blemishes, scars and uneven tones. A traditional French skin care line, Isabelle Lancray’s specialty lies with its customized products for different ingredients and High-Tec purified actives are available. Isabelle Lancray has been developed as a combination of elegant French Cosmetics with the progress of German engineering and science by Dr. Rimpler GmbH since 1997.
does isabelle whitening range reduce dark spots too?